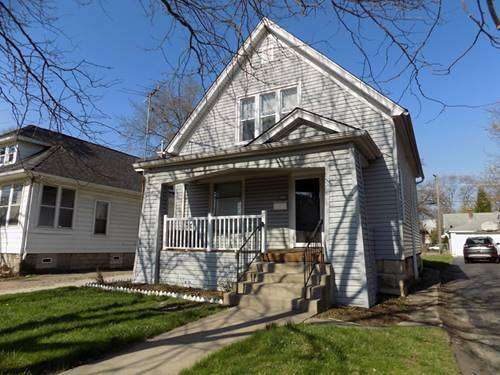 Updated 3 bedroom, 1.1 bath American Foursquare. Efficient layout. Updated kitchen with new cabinets and granite. Refinished Hardwood floors. All bedrooms have a walk-in closet. Freshly updated baths with ceramic tile. Covered Front Porch with new railing. Enclosed rear porch. New roof and windows 2017. Central Heat & Air conditioning throughout. 1 car carport + shed/storage. Credit/income requirements: Credit and background check is required. At least one applicant must have a credit score above above 650, no applicants may have less than 600. No past eviction proceedings within the last 10 years allowed. Minimum $3500/mo household monthly income. This is a non-smoking, no-pet property. No Section 8. For more information about 909 Kelly, Joliet, IL 60435 contact Urban Real Estate.